Originally published in 1935, Don’t Call me a Crook! 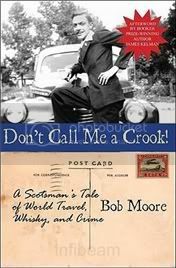 is Bob Moore’s account of his adventures, travels and crimes as a young Scottish marine engineer in the 1920's. He travels to Sweden, America, England, and eventually China. Bob More doesn’t want to be called a crook, but that’s really one of the nicest possible ways to describe him. He’s guilty of several crimes, he’s cold and manipulative, and he’s racist, sexist, anti-Semitic, homophobic, and probably any other unpleasant –ism you can think of. Strange though this might sound, that in itself didn't put me off. I don’t always have to like a character—or in this case, a real person—to enjoy reading about them or to find them interesting. And, at first anyway, he was nothing if not interesting. Don’t Call me a Crook! reads a lot like a collection of tall-tales, so to be honest I wasn’t always sure if Moore was telling the truth or exaggerating to live up to some social ideal of male bravado. I think Bookfool described this book perfectly when she said that reading it was a bit like watching a train wreck. Part of you really wants to look away, and yet you remain riveted. Moore is a good storyteller, if not a good writer. Which brings me to the downside: his tone is conversational, which is fine, but after a while I felt that I needed a more captivating voice to remain interested. I felt that his antics were becoming repetitive, and the last third of the book dragged for me. Moore rarely squirms at reality but does not suppress the information. He may not rise the questions but his attention to detail allows us to raise them. He is not blind to the suffering but cannot move beyond that horrible Colonial mentality. On a side note, Don’t Call me a Crook! reminded me a bit of Legs by William Kennedy. Legs is a fictional account of the life and death of real gangster Jack “Legs” Diamond, and it deals with the same time period and some of the same social themes as this book. Also, it’s a novel, so it actually asks those uncomfortable questions rather than leaving silences for us to fill in. Those who are interested in the 20’s and enjoy reading about disreputable characters would probably really enjoy it. And the same goes for Don’t Call me a Crook!, really. Though I got tired of it towards the end, it’s an interesting book, and I think a lot of you would enjoy it more than I did. Can you think of any less-than-likeable character or real person you enjoyed reading about? If so, tell me about them! My thanks to Lisa Roe for arranging for a review copy of this book to be sent to me. I'm on the fence on this one. I don't have to like a character to enjoy a book, but I have a feeling I'd be saying, "Oh, come on!" as I read this one. You know, this almost sounds like my recent reading of Thimble Summer. I couldn't stand the high amounts of -isms in it, and was a little put off by the people, but it was interesting to read from a historical/cultural point of view. I tend to have such mixed feelings when reading books with so many -isms. While on the one hand, it leaves my feeling literally queasy; on the other hand, I know it's important to remember history so as to try to avoid the mistakes and prejudices of the past. The first thought that popped into my head was that I don't enjoy books with characters/people I hate. But with a moment of thought, I realized that just isn't true. Often, a despicable character is the most effective way to tell a story. I have a hard time reading books that people write about their own lives when they are people that I really, really wouldn't like in real life. After I read Angels in America for the first time, I tried to read Roy Cohn's memoirs, and I just couldn't manage to finish it. His account of the Rosenberg trials made me sick to my stomach. ...As a trend, not a big fan of nasty protagonists in fiction either. I feel like life is too short to be reading about people who are totally awful. I think I would enjoy it too from a historical perspective as I enjoy reading about life during that period of time, but I think I would be put off by Bob Moore, especially the racialist aspects of his writing. Your review pretty much says the same things I said in mine though while I had the same opinion of his racial slurs I don't like to judge him for it too much, trying to look at his intent at the use of such words. In my mind that makes him a part of his generation not ours, and therefore not to be labeled by modern terms such as sexist or homophobe. Fact is for Bob, if you weren't a Glasgow man, you didn't measure up. I did enjoy the book I just didn't enjoy the man. Amanda: Good point! I had a pretty similar reaction to yours, yes. Debi: Yeah, it's definitely important to remember history, and over the years I've grown to mind the -isms less in fiction. But it's hard in an autobiography, because it inevitably makes you feel close to the author, and in this case, you don't want to! Jenny: It's harder for me with non-fiction too. In fiction, I don't like nasty protagonists when the book has a "look-at-me-I-am-so-bad", boastful tone. That's kind of how I imagine American Psycho to be. I haven't read it, so I could be wrong, but I can't see myself picking it up. But if I feel their unpleasantness serves the story and isn't there just for shock value, I don't mind. Scrap Girl: Yeah, he was off-putting. Fascinating in some ways too, but for me it got old after a while. 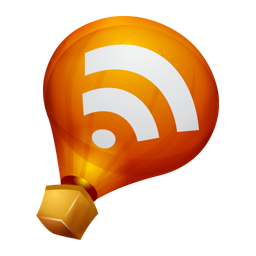 Nicola: Thanks for the link! And I'm sorry I missed it before! I agree, he was a product of his time, as we all are. I still think those terms apply, though, because even though they are new, the concepts they describe are as old as civilization. Mary Wollstonecraft never used the word "sexism", for example, but that's still what she was writing about. I'm always fascinated by the variety of books that you read and this one sounds interesting. I like your voice in your reviews and the way you write...great review ! I read 'Rabbit, Run,' by John Updike a little bit, and I disliked the man character while still enjoying the book. Updike is a great writer, so it's hard not to enjoy that part, but Rabbit was just awful. So, it's different than this book, I suppose, since you mentioned Moore isn't a great writer but a good storyteller. I think you summarized your feelings towards this one a lot better than I did. I did enjoy it, but I also didn't believe half of the stuff this guy was selling. I also really had a problem with the writing style. Thanks for the honesty you show in this review. Becky Sharp in Thackeray's Vanity Fair. I didn't like her, but her life was fascinating ---a train wreck indeed. One of the less-than-likeable characters I read was Snape from the HP series. I have read a number of reviews about this one recently and it seems like, while most are favorable, there are similar complaints about it just the same. I am not sure this is one I will pick up and read, but it does sound interesting. Kim: I need to give Updike a second try. I read a collection of his short stories some years ago (The Music Room I think it was?) and wasn't crazy about them, but I want to try a novel sometime.